$9 billion: That’s the number experts predict this year’s flu season will cost employers in lost productivity, according to the Denver Post. While many employers are asking employees to stay home if they experience symptoms, this strain is particularly aggressive and lasts longer than strains we’ve experienced in the past—affected individuals can be contagious for up to seven days. When it comes to dealing with the virus in the workplace, one of the biggest issues is that most workers are reluctant to take that much time off work—if any. In fact, an annual survey by Staples shows that nearly 80 percent of workers admit to coming into work when they’re sick. They fear falling behind and missing out on a promotion, or they simply can’t afford to take the time off, leading to “presenteeism” — something 67 percent of employers say is even worse for business than an employee who stays home. So what does that mean for employers? Workplaces can quickly become a breeding ground for the spread of the virus, often through common surfaces or “fomites.” The Centers for Disease Control suggests that one of the most important things an employer can do is to maintain a clean environment—a critical step not enough businesses follow. 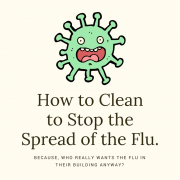 But cleaning has long been key to stopping the spread of viruses and disease; it was Florence Nightingale (1820-1910), the founder of modern nursing, who provided our initial understanding of the importance of cleaning to manage disease. 1. Communicate with business owners, property managers and/or other individuals responsible for health and wellness. Be prepared to discuss your current responsibilities and set expectations for what your department can and cannot do when it comes to cleaning. If you need additional budget to perform additional cleaning tasks or purchase inventory, let them know. 2. Conduct a staff inservice. While it might not seem like a priority during a busy period, good training is critical to effective execution. You can’t just hand a custodian a cloth and tell them to clean more often — cleaning workers must thoroughly understand the virus and requirements for disinfection. This includes basic principles such as the routes of transmission, dwell time and hand washing protocols. This training will help reinforce proper cleaning principles, allowing time for cleaning agents to work and effectively killing the virus as employees clean surfaces throughout the building. 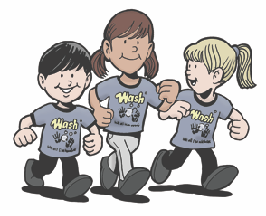 In addition to written instruction, training should include vivid illustrations (for those with reading difficulties) and hands-on training in handwashing, personal protective equipment and proper disinfection methods. Our Microbiology for Cleaning Workers can be an effective guide for you. Training should include vivid illustrations for custodians with reading difficulties. 3. Increase cleaning frequencies. Depending on the size of your building(s) and the type of your operation (e.g. 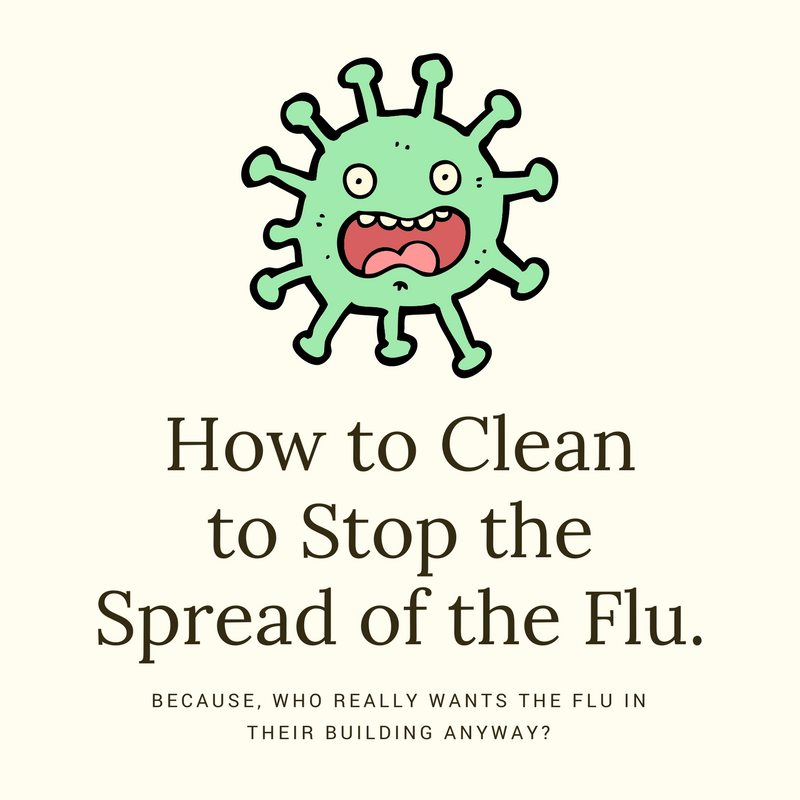 in-house department versus contract), one of the easiest things you can do to limit the spread of the flu is to increase cleaning frequencies. If your department typically cleans in the evening after the building is vacated, you can assign a day porter who is responsible for cleaning fomites, or high-touch areas throughout the building. These cleaning frequencies should be adjusted based on building occupancy, traffic and severity of the outbreak. For example, a restroom in an emergency room requires much more frequent cleaning than a restroom in a private office building. 4. Focus on fomites! Identify the most commonly touched areas in the building and make sure these surfaces are cleaned and disinfected regularly. Such surfaces might include door handles, light switches, telephones, microwave buttons, conference room tables and vending machines. We’ve developed an infographic you can download and print to share with cleaning workers and building occupants to help keep common fomites top of mind. 5. Emphasize hand hygiene. We’ve all heard that we’re supposed to say the “ABCs” or sing the “Happy Birthday” song twice while we’re washing our hands, but how many people really do it? During a flu outbreak, it’s critical to remind both cleaning workers and building occupants of the importance of hand washing. The CDC offers several downloadable signs you can place around your building as a friendly reminder. 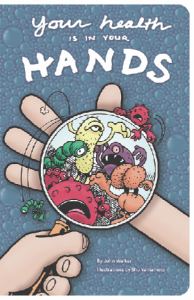 We also have a user-friendly hand washing coloring book for kids ages eight to 80-plus. 6. Prepare for what could come next. Leaders from the CDC recently reported that the flu season is “probably peaking” right now, but it doesn’t hurt to be prepared if it takes a turn for the worse. As we highlighted in this post about pandemic preparedness, a playbook that identifies key responsibilities within your department and action plans for people to fill-in should custodial staff become ill. If you don’t have a playbook ready, we’ve got you covered. The key is to be ready for whatever could come your way.